Dream with your Eyes open and bring ultimate expression for your creativity. 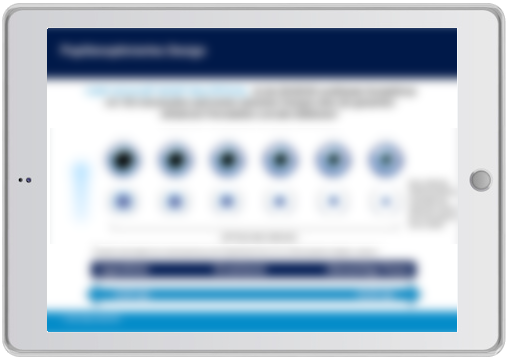 BICS GLOBAL creates the HTML5 iPad decks compactible for Salesforce tools like DSA, DSF, MxExchange and iRep (Veeva CRM). We develop HTML5 iPad decks and upload to SFDC environment, download it through DSF to iPad devices allow marketing team to make use of these Decks from iPad device. We also implement new features like click through slides, calculator functionality inside the decks, Zoom in and Zoom out options. BICS GLOBAL offer cost-effective Android app development which is bug-free, reliable, innovative, and user-friendly. We have the strong team of Android mobile app developers who have deep knowledge and experience in developing Android apps for business domains such as healthcare, e-Learning, Social Networking, e-Commerce, service provider and so on. Our proven development methodologies, strict quality control process and expertise in Android app designing are the simple reason we are leading the market. BICS GLOBAL has a team of skilled iOS specialists capable of developing a feature-rich iPhone solution with highly interactive and customized features. Our strong team of iPhone developers is committed to providing the best in class service and qualitative solutions. The simple reason we are leading in the iPhone and iOS development is our zeal to innovate, quality of service, customer-centric approach and industry best pricing. We are passionate about developing innovative iPhone applications for our clients, connect the app with back end systems like CRM, ERP, HRM and other existing business applications. We develop an app that functions in offline mode and manages data by integrating with the kinvey framework & SFDC environment. We have built a Cordova application using IBM mobile first adapter for our enterprise client to audit the defects in vehicle parts. BICS GLOBAL offers Augmented Reality solutions to help companies ranging from healthcare to retail-with the purpose of improving and building long-term market relevance. We are experts in building AR apps using location-based tracking, 3D modeling & visualization, 360-degree panoramic imaging, real-time character identification, and much more. We assist in the 3D design, motion capture animation, environment creation and product presentation using Augmented reality. We design and delivery AR app for event-based activities that involves interaction screens, Handheld the device and Wearable hardware. BICS GLOBAL is a Mobile Virtual Reality startup that helps in visualizing architectural drawings using Immersive technology. Our products and systems enable real understanding of information and data, with 3D interactivity giving every project a new dimension. We help users to understand the things in the real environment and they can feel the presence of Objects or Models Virtually in front of them. We develop multi-sensory Virtual Reality systems and software for experiential, consumer, retail, training, and industrial purposes.